Android is the most popular operating system worldwide. More than 60% smartphones are running on Android platform. That's not only because Android is free but it also provides good features and functionalities. Recently we saw the Android Pie ( version 9.0) in August, 2018. It has many innovative features like in built AI battery management, gesture based navigation and most discussed, digital wellbeing, which is also my personal favourite. But one of the major problems with Android smartphone manufacturers is the late Android updates. While we see the ios getting updated within two months of its launch to 80% of the iphones, Android is not like that. Even after 3 months manufacturers are providing one year old Android Oreo out of the box in 90% of devices. Very few devices has been launched with pie out of the box like OnePlus' 6T, Huawei's Mate 20 Pro, Honor's Honor Magic 2 etc. 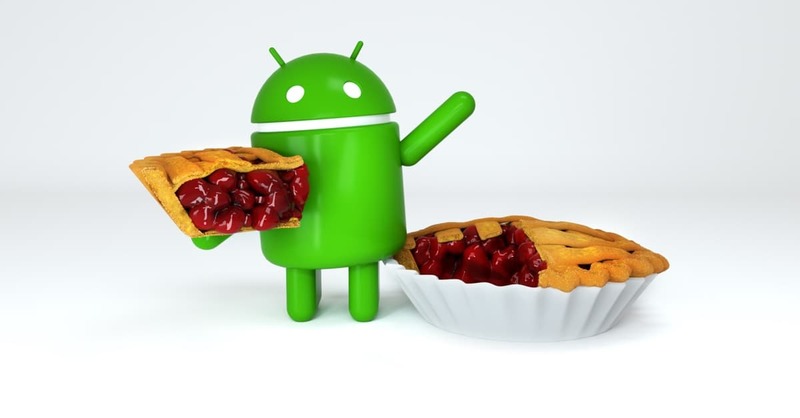 Even some Android One devices are still waiting to get the taste of Pie. Those who don't know about the Android One program, it's an initiative from Google, started from 10th August, 2015, to provide the real Android features to the devices they assign. The manufacturer gets the Android code and can't change it too much except some minor customisation like gesture controls, wallpapers, animations or a few apps like calculator, sound recorder etc. 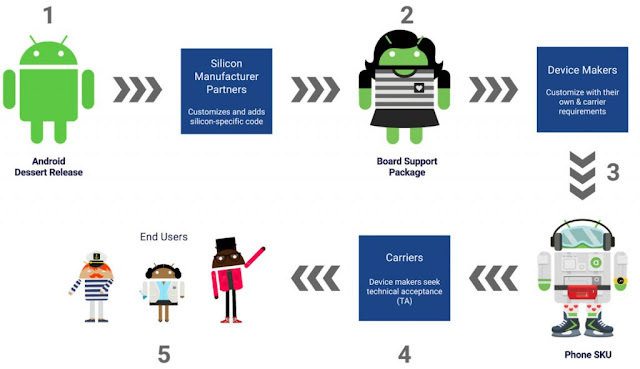 Through this the devices get fastest updates from the manufacturer as well as Google. The Android One devices are promised to get 3 years of security patch updates and two major Android updates, which Google launches in Q3 of each year. And the security patch updates have been very fast with this concept. But the Android updates are still a headache though. We see about 2-3 months delay to get latest Android versions after official launch of the version. Well this is common with all manufacturers. And that's not the fault from their side. Actually the device manufactures have to wait for the SoC manufacturers to get the code modified for their individual chipsets. And then the manufacturer again modifies it according to their UI and then they push it to the devices by FOTA updates. This all takes to much time and the user has to wait for almost six months. But Google found the solution for this problem also. Google last year launched the "Project Treble" to provide fastest Android updates. Well the Project Treble was announced with the Android Oreo launch and was said that those phones which comes with Android Oreo out of the box will get the Project Treble support along with it. Google removed the SoC manufacturers from the middle and made it easy for the device manufacturers to provide users the latest Android version. As the Project Treble supported devices doesn't need the source code to be changed by the chipset manufacturers. Well, if your device isn't running on Android Oreo, still you can have the Project Treble support. It totally depends upon the manufacturer. If your device gets updated to Android Oreo, then it can have the Project Treble support. But if your manufacturer never pushes the Oreo, you have nothing to do. But, at the end of 2018, the devices are still coming with Android Oreo (8.1). Can't manufacturers provide latest Android 9.0 (Pie) in their feature packed devices. This question rises in every users mind. Well the device manufacturers still have some work to do with the source code from Google to change the UI of their products. The iOS in the other hand doesn't comes with this much facilities to be changed. As it is only made by Apple and used by Apple. They don't need to work on their source code, don't need to wait for the chipset manufacturers or change the UI. So Apple provides the features they want and decide what to give and what not. So the users get fast updates and never have to worry about this. Same happens with the Pixel devices also. As the Pixel devices are getting direct software from Google they get the fastest updates, on the day of launching. Same concept also runs for these also. The Pixel phone's developers doesn't need to change the skin, neither the hardware codes nor UI as the Android is basically made for the Pixels itself. But still some Chinese manufacturers use too much customised UI to get their work done worldwide. Xiaomi, Oppo, Vivo Huawei all had their different UIs. They need time to push the Android updates but at least they can provide the security updates faster. And also waiting for 9 months to get the latest Android is nowhere logical. So device manufacturers also have to think different and try to push updates faster. Also some phones with near stock UI like Asus's Zenfone Max Pro M1, Motorola's G-series phones are still haven't the Android Pie (9.0) running in them. At least they have to do the work faster for the sake of their customers.